Mission – To help our youth strengthen their relationship w/ Christ through Scripture, Mass, Teachings of the Church, Praise and Worship, and Community. The Y.O.A. is youth lead, adult supervised and Holy Spirit Guided. We strive to keep Christ the focus of our ministry while learning how to live and evangelize through our actions w/in today’s social setting. Lock-Ins – We have two lock-ins during the school year, one in the fall and one in the spring time. The lock-ins are social events where the youth stay the overnight in the church. We have activities that go through the entire evening. Adults are present the entire time and if the youth do get tired, there are separate rooms for them to grab some “shut-eye”. Retreats/Conferences – There are two Retreats & two Conferences that Ascension will be attending this year. The retreats are The Rez, put on by the Missioner’s of Christ, and Running w/ Jesus, put on by our own AYC. The Rez is recommended for youth who have already attended a retreat before or are comfortable w/ their faith/relationship w/ Christ. The Rez does a great job of building further into the youth’s foundation for their faith. Running w/ Jesus is an excellent “starter” retreat – perfect for the youth who has never been, or even doesn’t want to go. It is planned out and executed by our very own youth leadership team. They come up w/ the Topic & Theme, and do a great job of structuring around topics that are relevant to what today’s youth will experience. 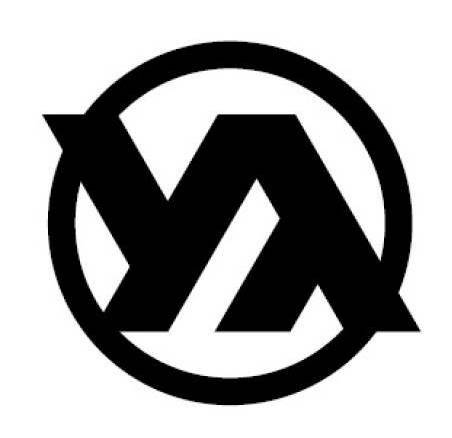 The Y.O.A. has been hosting Running w/ Jesus (RWJ) for the past 20 years and I must confess that I was one of those youth who were forced to attend the very first RWJ. So you can believe me when I say that it can have a huge impact on your youth! The two Conferences are the Diocesan Youth Conference (DYC) held in Richmond, VA and Steubenville Conference held in Atlanta, GA. Both are an amazing experience and recommended for youth of all faith levels. It is a weekend filled w/ Praise and Worship, Mass, Benediction, talks, skits, free time and much more. Mission Tips – The Y.O.A. participates in two Mission Trips each Summer, one domestic and one international. The International Mission Trip is hosted by The Missioners of Christ and the domestic Mission Trip is hosted by our Diocese. The Domestic Mission Trip is a weeklong trip in which the youth help a community by evangelizing & build much needed repairs to homes and community centers. They are supervised throughout by adult volunteers as well as volunteer contractors. Every year we are in dire need of Contractors as well as Adult Volunteers that can take time to help out. This would be an excellent opportunity to share in a faith-filled week w/ your youth. The International Mission Trip takes place in Comayagua, Honduras. Evangelization to youth (elementary age) and parents in the community is the main focus. It is required that any youth wishing to go on an International Mission Trip have already been on a Domestic Mission Trip first. Costs – Due to our Golf Classic (you’ll hear more about that later) we are able to help supplement the costs of all the retreats/conferences & Mission Trips. For your youth to be eligible for Scholarship Funds, they must be active members of the church (volunteering in some capacity) as well as an active member of the Y.O.A. (attending Sunday Meetings).